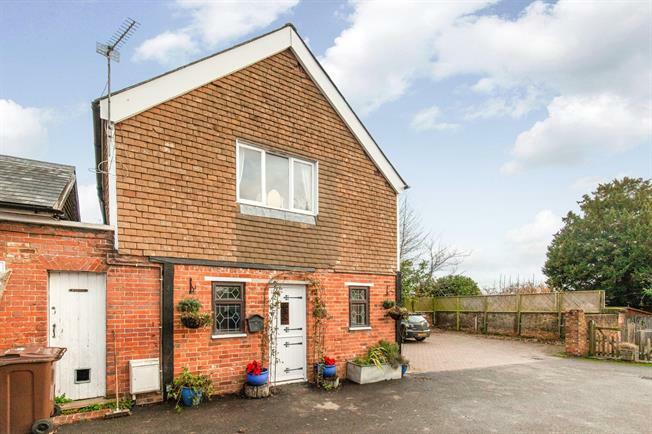 2 Bedroom Semi Detached House For Sale in Cranbrook for Asking Price £249,950. A spacious and centrally located family home which offers the perfect accommodation which would suit a young family or a professional couple who want everything that village life has to offer in terms of locality and proximity to amenities, restaurants, pubs etc, yet without the hassle of a large garden to maintain. There is a great opportunity to develop the ground floor into modern open plan accommodation with it presently arranged with large lounge complete with wood burner, study and large cottage style kitchen/diner complete with induction hob and pantry. There are 2 bedrooms on the first floor and a family bathroom. The master bedroom has vaulted ceiling with exposed beams and built in wardrobe. The bathroom has extra large bath, with rain shower. Bedroom 2 has a double aspect and vaulted ceiling.